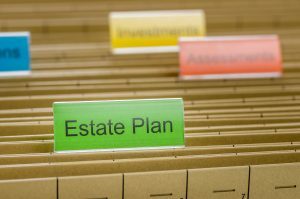 Estate planning can confuse or even intimidate families. This is unfortunate because estate planning is disarmingly simple. Estate planning is simply the process of choosing where and to who you want the things you own to go after you die. While estate planning does include passing along your estate to heirs and beneficiaries, a proper estate plan takes into consideration all aspects of your life. Estate planning is highly personal. Everyone’s life and family are different and circumstances are unique. An individualized plan is necessary to help achieve your goals and plans for the future. Virtually everyone needs estate planning. Whether you are young or old, single or married, you probably can benefit from estate planning. Oftentimes, younger families don’t think about estate planning and the need for a will or trust or power of attorney documents. But this is a mistake. Estate planning for young families is crucial. And possibly more important than estate planning for families with adult children. If you may need medical care in the future, and possibly skilled nursing care, an estate plan is for you. If you have young children or children who are financially irresponsible, estate planning will provide you with peace of mind. Families need estate planning for a variety of reasons. For some people, tax reduction is their primary concern. For young families, choosing a guardian for their minor children is of paramount concern. Parents with young children need to ensure their children are financially secure and taken care of by guardians of their choosing. Pennsylvania estate planning is a great idea for people that want to plan for their future medical care. Creating financial and health care power of attorney documents is an important step to guarantee your wishes are carried out. The most common Pennsylvania estate planning documents are wills, trusts, power of attorney documents, and life insurance policies. These documents ensure that your wishes are carried out when you die or are no longer able to make decisions for yourself. The specific documents you need, and the contents of those documents, depend on your goals and the particulars of your life. If you don’t have an estate plan or you want to update your current estate plan, VA Legal Team can help. We take a holistic view of each family’s particular situation and work with you to make sure your goals and wishes are realized. It is easy to delay thinking about wills and life insurance and end of life decisions. But the sooner you make important decisions, the sooner you can be confident that you and your family will be prepared for whatever life brings.